A new study found that eating garlic can combat age-related changes in gut bacteria that are associated with memory issues. These health benefits come from a compound in garlic called allyl sulfide. “Our findings suggest that dietary administration of garlic containing allyl sulfide could help maintain healthy gut microorganisms and improve cognitive health in the elderly,” said co-lead researcher Jyotirmaya Behera, PhD, from the University of Louisville. The team set out to better understand how the gut microbiota — that being the collective term for the trillions of gut microorganisms — changes with age and how it may be linked to other age-related health issues. Behera, Tyagi, and their team fed allyl sulfide to 24-month-old mice, which correlates to humans aged 56 to 69. These mice were compared to controlled 4-month- and 24-month-old mice who were not taking oral allyl sulfide. The older mice taking allyl sulfide showed better short- and long-term memory, spatial memory, and overall gut health than the older mice not taking the allyl sulfide. Researchers found via further experimentation that reduced gene expression of neuronal-derived natriuretic factor (NDNF) in the brains of older mice not taking allyl sulfide is to blame for their cognitive decline. Mice who were consuming allyl sulfide showed higher levels of NDNF gene expression. NDNF was just recently discovered by scientists at the University of Louisville and is pertinent to long-term and short-term memory consolidation. Furthermore, the team found that when mice were fed allyl sulfide, hydrogen sulfide gas was produced in the gut lumen. This gas acts as a messenger molecule that prevents intestinal inflammation. Therefore, the researchers believe that by restoring gut health, the allyl sulfide in garlic promotes memory consolidation. 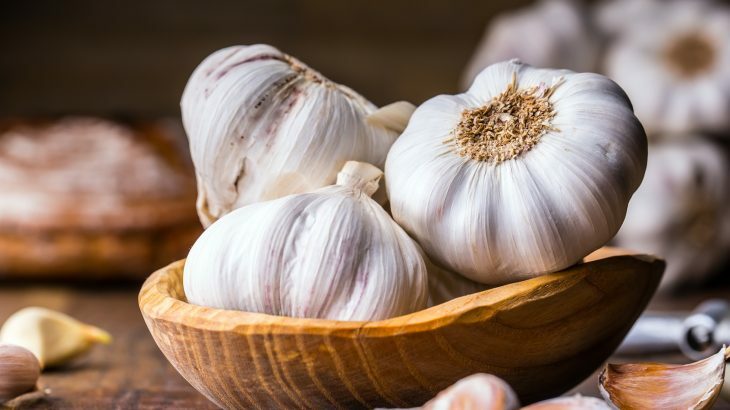 More experimentation is needed to better understand gut health and memory, however this new information could potentially lead to garlic being used as a memory treatment within the aging human population. These findings will be shared at the American Physiological Society annual meeting during the 2019 Experimental Biology meeting, which runs from April 6th to April 9th in Orlando, Florida.